This all purpose formula contains medicinal herbs which enhance the body‚Äôs ability to cleanse itself of toxic and metabolic waste. Many testimony reports have come back about this tonic helping to heighten energy especially where there is chronic fatigue, and skin problems. Can improve well being and help create smoother and more vibrant skin, hair and nails. 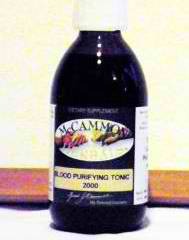 Blood Purifying Tonic 2000 is the single most important remedy for overall health improvement. Dose: 10 mls twice daily. An impure blood stream is always an effect showing symptoms of imbalance elsewhere in the body. Your 100 trillion cells are dependent on a healthy blood stream to provide the source for all they are. As these cells divide creating a whole new body in around 4 months, the quality of their reproduction depends on good daily routine of organic food, and plants rich in blood purifying mineral salts and other properties. Blood purifying tonics are those herbs which enhance the body’s ability to cleanse itself of toxic metabolic waste. Their effect is cleansing to all body tissues. BURDOCK ROOT: (Artium lappa) Burdock has a strong action in cleansing the blood and the lymphatics. It clears congestion, reduces swelling and dispels toxins via the skin, kidneys and bowel. It is a nutritive tonic and rejuvenative. Historically it has been used to support the action of the kidneys in urinary tract infections and skin and joint conditions. Burdock is indicated in all conditions where an accumulation of toxins is present in the body especially in particular skin diseases such as boils, eczema and ulcers. DANDELION ROOT: (Taraxacum officianalis) Dandelion cleanses the liver, kidneys, lymph and bowel and is ideal for toxic blood conditions. 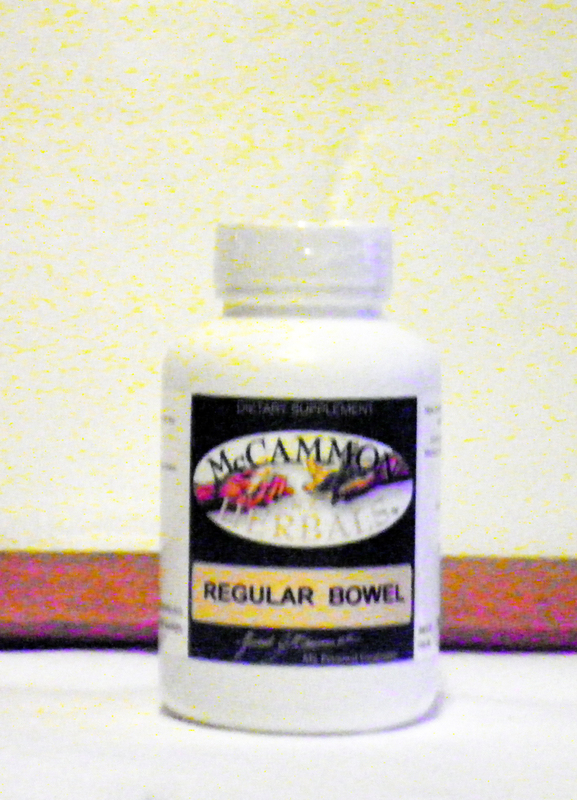 It increases the secretion of digestive enzymes and bile and is widely regarded as the supreme liver tonic. An excellent source of Iron, Sodium and vitamin A, it has been used to treat liver conditions, constipation, digestive upsets, inflammatory skin conditions such as psoriasis, urinary problems, hepatitis, gout and rheumatism. ECHINACEA: (Echinacea augustafolia and purpura) Echinacea is an immuno stimulant. Enhancing the body’s resistance against both bacterial and virus infection it is probably the best detoxifying agent in Western Herbalism. A natural antibiotic, it counters the effects of most poisons in the body. It cleanses the blood and lymph systems, helps arrest pus formation and tissue putrefaction. It catalyses the action of white blood cells and thus supports the body’s own defence system. LICORICE ROOT: (Glycyrrhiza glabra) Licorice root is a natural anti-inflammatory agent and is healing to all mucus surfaces. 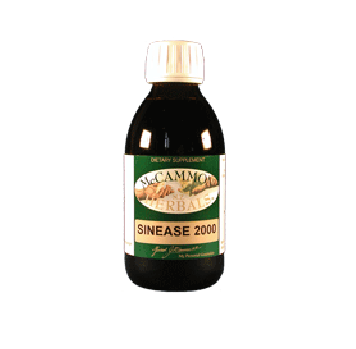 It is an effective expectorant, helping to liquify and expel toxic mucus from the body. Cleansing for the lungs and stomach it is a mild laxative which soothes and tones the mucus membranes, relieving muscle spasms and reducing inflammation. It is used in the formula for the above reasons and to mask the bitter taste of the other herbs as well as acting as a natural emollient to distribute and potentise the formula. SARSAPARILLA: (Smilax ornata) Sarsaparilla purifies the urino-genital tract, dispelling all infection and inflammation. While purifying the blood, it also improves digestion and helps to dispel accumulated toxins in the gastro intestinal tract by its gentle laxative action. Its purifying action extends to the nervous system and is therefore useful in many nervous disorders. Sarsaparilla’s diaphoretic and blood cleansing action is useful for rheumatic inflammation. RED COVER (Trifolium pratense) Firmly entrenched in American folklore red clover has gained a reputation as a fine blood cleansing herb. Rich in micronutrients it posseses activity against several bacteria, the most significant of which is the pathogen that causes tuberculosis. A good dietary supplement of vitamin A and Iron it also contains B- complex, vitamins C,F, and P, some selenium, cobalt, nickel, manganese, sodium and is particularly rich in magnesium, calcium and copper. OREGON GRAPE (Berberis aquifolium) Well known for the treatment of skin diseases due to toxins in the blood. The herb stimulates the action on the liver and is one of the best blood cleansers. Mild stimulant to the thyroid functions and aids in the assimilation of nutrients. A tonic for all the glands it contains minerals such as manganese, silicon, sodium, copper and zinc. USES OF THE FORMULA Blood Purifying Tonic 2000 is indicated in all skin diseases especially inflammatory ones such as psoriasis and eczema, and for joint conditions of all types, fatigue, lymph congestion, murky iris. Most chronic diseases need a blood purifying tonic as a basis to all other specific herbal, homeopathic, nutritional and allopathic medicines. It is also beneficial as a “spring tonic” and as a “pick me up” before and after alcohol. Blood purifying tonics are the foundation of holistic healing.